Thank you for signing up for the Big Family Blessings newsletter! 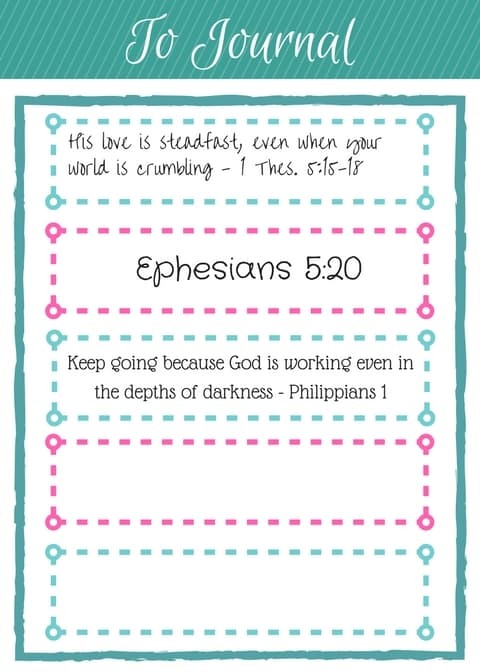 Get your free Bible Journaling Printable here. How often do you think of something you want to journal in your Bible when you are away from home? Whether a point made during a sermon, or a prayer, or a verse. Later, you get home and sit down with your art supplies, only to realize that you’ve forgotten what you meant to journal. It happens to me all the time! Print several of these blank ‘To Journal” printables, tuck them inside your Bible, your devotional, in your car or purse… You won’t ever forget what you wanted to journal later again! Below is an example of my ‘To Journal’ printable filled with things I’ve listed to journal later. I’m sharing the blank sheet here so you can print your own blank copy.